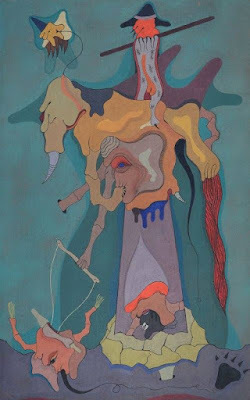 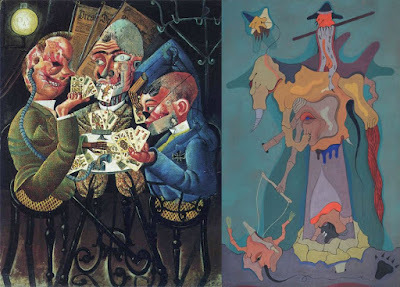 Alien Explorations: El sueño de Sancho (The dream of Sancho) (1978) by Jorge Camacho references Otto Dix's "Skat players : Card Playing War Invalids" (1920) ? 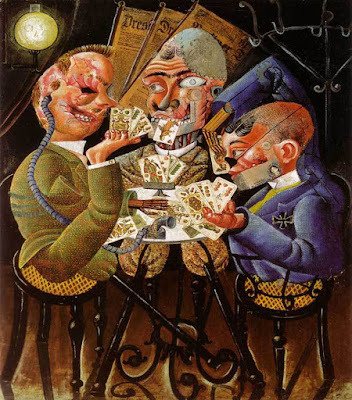 El sueño de Sancho (The dream of Sancho) (1978) by Jorge Camacho references Otto Dix's "Skat players : Card Playing War Invalids" (1920) ? c) Comparison with table area and strange elephantine face in the centre of the image. 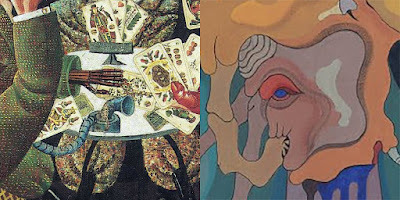 The mechanical hand becomes the eye.